PJ's Produce is family owned and micro operated. They put the utmost care into their crops each season and pay special attention to each plant as it grows from a seedling up until the time it is ready to harvest. 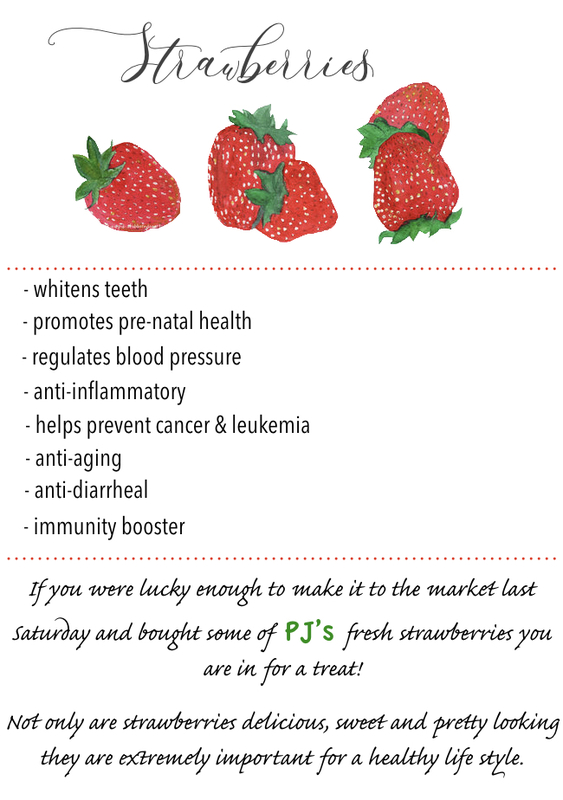 One of the newest additions to their varieties of produce available at the Jerome Farmers Market are their sweet and delicious strawberries. If you were lucky enough to buy their strawberries last Saturday we here at the Jerome Farmers Market would like to offer you a wonderful Summer recipe. 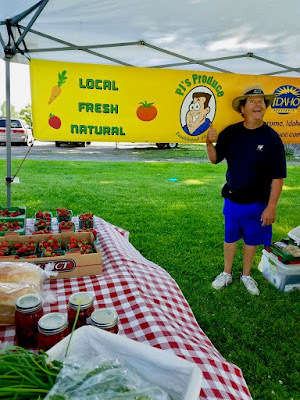 If you missed the strawberries last week be sure to look for PJ's Produce this coming Saturday, June 16th, to see what other delights PJ has for you this weekend! In a stand mixer fitted with the paddle attachment, beat cream and sugar until stiff peaks form, about 5 minutes. Stir in vanilla until combined. Transfer mixture to a piping bag. 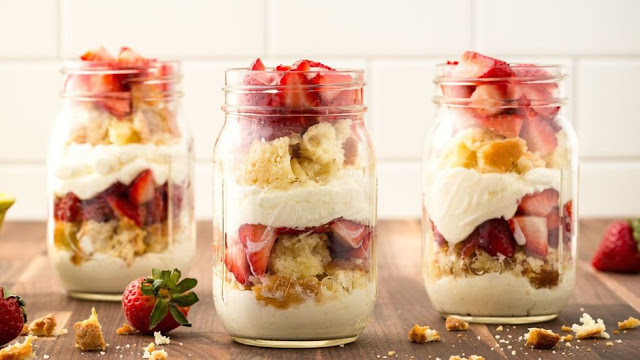 Among four glass jars, layer pound cake or angel food cake, whipped cream mixture and strawberries.